One moment set him apart from the competition. 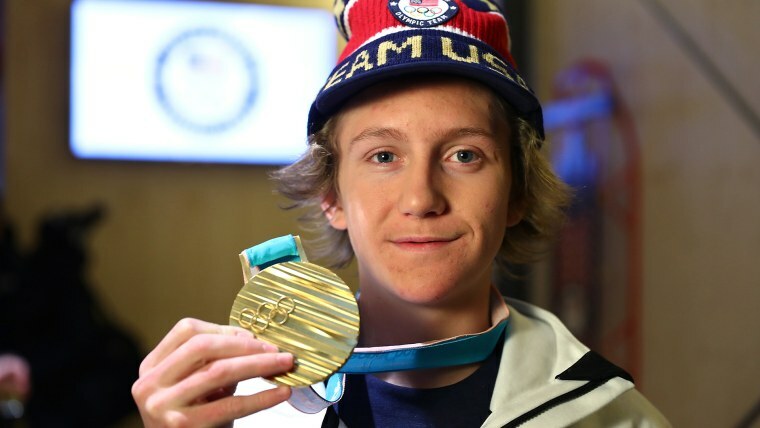 At age 17, Red Gerard is is still getting used to the big medal around his neck — the gold that locked his name in sports history. The Colorado native took home the first gold medal for the U.S. at the 2018 Winter Olympics in Pyeongchang on Saturday, making him the youngest man to win a gold medal in winter Olympic games since 1928 when bobsled driver Billy Fiske took home the gold at age 16. The win, however, was anything but guaranteed. Each snowboarder has three chances to prove themselves. Before his third run, Gerard was in last place. But on his final try, he had an incredible run, completing a backside triple cork 1440, the mind-boggling move consisting of three full vertical flips while rotating backward 360 degrees four times. Speaking with Geist, the young snowboarder described the moment his incredible accomplishment hit him. Gerard’s six siblings and his parents couldn’t be happier. According to Gerard, they’ve been partying since they found out he had come in first place.